What to Watch: Retail Sales – Retail Sales retreated in March, but are higher than the same time a year ago. Squash Money Squabbles – How couples can keep financial contentions from tarnishing their relationship. Q&A: Spot a Spoof Site – Spot fake news and bogus products with these tips. Please feel free to forward this newsletter to friends, family or co-workers who may find it helpful. 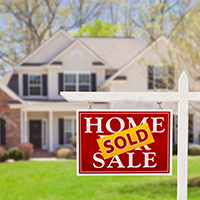 Existing Home Sales hit their highest pace in over 10 years in March, according to the National Association of REALTORS®, with sales climbing 4.4 percent from February and 5.9 percent above a year ago. However, existing home demand continues to outweigh supply with inventories down 6.6 percent from the same time last year. If you have any questions about purchasing or refinancing, please reach out at any time. Overall Retail Sales slowed in March, while February’s numbers were also revised lower. What is the Retail Sales report? Produced by the Commerce Department, the report measures a sample of store receipts from businesses of all sizes. It is the timeliest indicator of broad consumer spending patterns, and usually the first picture of consumer spending for a given month. What’s happened recently? Total Retail Sales declined for the second month in a row in March, posting the worst two-month stretch in two years. Lower sales for automobiles and gasoline led the 0.3 percent drop from February to March. However, March sales were 5.2 percent higher than a year ago, and total sales for the first quarter of 2017 were up 5.4 percent from the same period in 2016. What’s the bottom line? 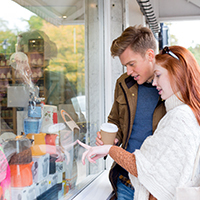 Consumer spending makes up two-thirds of our nation’s overall economic activity and is a key factor the Fed considers when discussing economic policy. When economic reports like Retail Sales show positive momentum, investors could be tempted to move their money out of safer investments like Bonds and into riskier assets like Stocks to take advantage of gains. When money is shifted from Bonds to Stocks, the result can be a negative impact on home loan rates since home loan rates are tied to Mortgage Bonds. The reverse is also true. However, many factors can also influence markets and home loan rates, from economic reports here to political uncertainty abroad, so keeping an eye on the big picture is essential. I’ll continue to monitor economic reports closely, but if you have any immediate questions, please call or email today. According to a Money Magazine poll of married couples over age 25 with household incomes of $50,000 or more, 70 percent of couples argue about money more than other topics. Fortunately, there are ways to avoid common trip wires and help defuse money arguments before they blow up. Money talks. Personalities, childhood experiences, spending and lifestyle habits all create differences in attitudes and behavior with money. Talk about these differences openly to deepen understanding. No secrets. The most common money secrets among couples include hiding cash, minor purchases and bills, as well as setting up secret bank accounts or credit cards. Keeping secrets creates stress. Maintain transparency to keep your relationship healthy. Budget building. Budgeting — and sticking to the budget — is one of the best ways to prevent arguments and avoid too much debt. Since an agreed-upon budget is an objective measurement, budgeting can help establish a financial foundation, foster teamwork, promote living within your means and create goals. Ease the process with budgeting tools and apps. Make allowances. Like budgeting, joint bank accounts foster openness and teamwork. But sharing every penny, especially when you have different spending habits, can cause problems. Budgeting a little every month for each person to spend on “whatever” promotes a sense of personal freedom. Manage together. Even though one partner may be inclined to handle the finances, sharing the responsibility helps avoid misunderstandings and mistrust. More importantly, if an illness or death occurs in a couple, the remaining partner is fully aware of how the finances are managed. Get advice. The perspective of a professional financial advisor or coach can help you set realistic goals, educate on options, promote collaboration, diffuse potentially tense conversations and often save you money in the long run. Everyone has a unique way of looking at money, so remember to see discussions as an ongoing opportunity to deepen your perspective about each other and your relationship, not as an opportunity to prove a point. QUESTION: How can I tell if a website is real or spoofed? No clear source of information. The absence of an author byline, or scant information in the About Us and Contact Us pages could be indications of a fake site. No supporting resources. Links or footnotes are not provided to studies, and reports mentioned as proof or links provided don’t actually support the article. Odd grammatical errors, overuse of exclamations points and lack of proofreading in promotional emails and website pages suggest a lack of professional care, accuracy and attention to detail. If you’re not sure about the validity of a news website, check out claims on FactCheck.org, Snopes, the Washington Post and PolitiFact. If you are unsure about the validity of a product site, check out Consumer Reports or the Better Business Bureau to vet products and companies.